A viaduct is a familiar construction in England and not a special one. It was one of the most attractive sights for me in the landscape. They are not seen in Japan where most of railway bridges are iron truss construction. The construction of viaducts is possible because there are not earthquakes in England. The existancwe of a viaduct, the arches placed rhythmically in the landscape, makes the landscape picturesque. 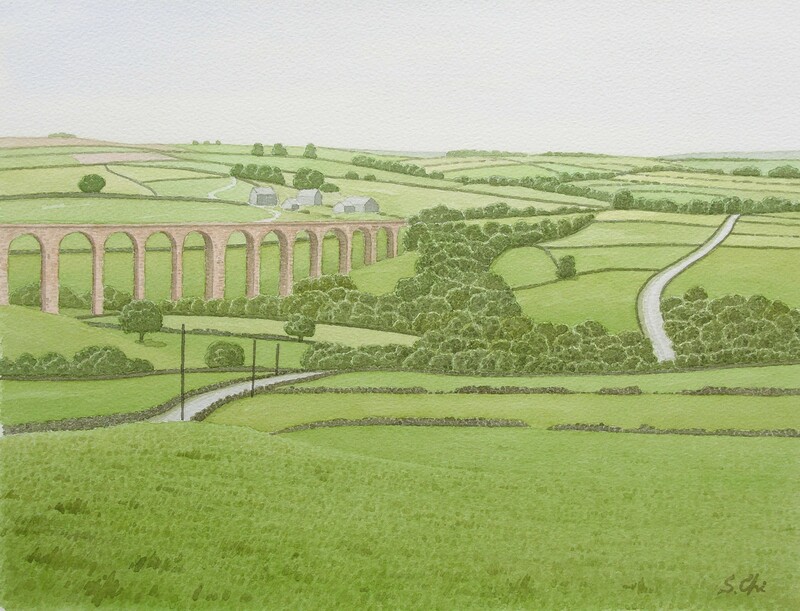 I found this viaduct, shown here in watercolour, near Haworth driving along the B6144.